When it comes to word processors, Microsoft Word is usually the first name that comes to mind. Whether you're writing a letter, creating a resume or typing a paper for class, Word has remained the gold standard for several decades. Available as part of the Microsoft Office software suite or as its own standalone application, the process of downloading and installing Word typically comes with a price tag attached to it. If you need to edit or view a file that has a DOC (the default file format used in Microsoft Word 97-2003) or DOCX (default format used in Word 2007+) extension or if you need to create a document from scratch, there are ways to use Microsoft Word or a similar application for free. They are as follows. Word Online offers what is almost a full-fledged version of the popular word processor from right within your browser window, providing the ability to view or edit existing documents or create new ones in a number of different templates including calendars, resumes, cover letters, APA and MLA style papers and much more. While not all features found in the desktop version are in this browser-based app, it lets you store edited files in your cloud-based OneDrive repository as well as on your local disk in DOCX, PDF or ODT formats. Word Online also allows you to invite other users to view or even collaborate on any of your active documents. In addition, the app includes a feature that embeds documents directly into a blog post or onto your personal website. Part of the Office Web Apps suite, Word Online runs in the latest versions of most well-known browsers on Linux, Mac and Windows operating systems. The Microsoft Word mobile app is available as a free download for Android and iOS devices through Google Play or Apple's App Store. The app requires an Office 365 subscription if you want to create and/or edit documents on an iPad Pro. However, the core functionality is accessible for free on iPhone, iPod touch, iPad Air and iPad mini devices and includes the ability to create, edit and view Word documents. There are some advanced features that can only be activated with a subscription, but for the most part what you probably need is available in the free edition. Similar limitations are found on the Android version of the app, where authenticating with a free Microsoft account will unlock the ability to create and edit Word docs on devices with screens 10.1 inches or smaller. What this means is Android smartphone users are in luck, while those running on tablets will need a subscription if they want to do anything other than view a document. If you're looking for some of Word's advanced features not available in the aforementioned options, Microsoft offers a free trial of Office 365 Home which lets you install the complete version of its word processor along with the rest of the Office suite on up to five PCs and/or Macs as well as the full version of its app on five tablets and phones. This free trial requires you to provide a valid credit card number and lasts for a full month, at which point you will be charged a yearly fee if you have not canceled the subscription. You can register for this trial subscription on Microsoft's Office Products portal. The Office Online extension for Google Chrome does not function without a licensed subscription, but I've listed it here as it can serve as a useful free tool during the Office 365 Home Trial period. 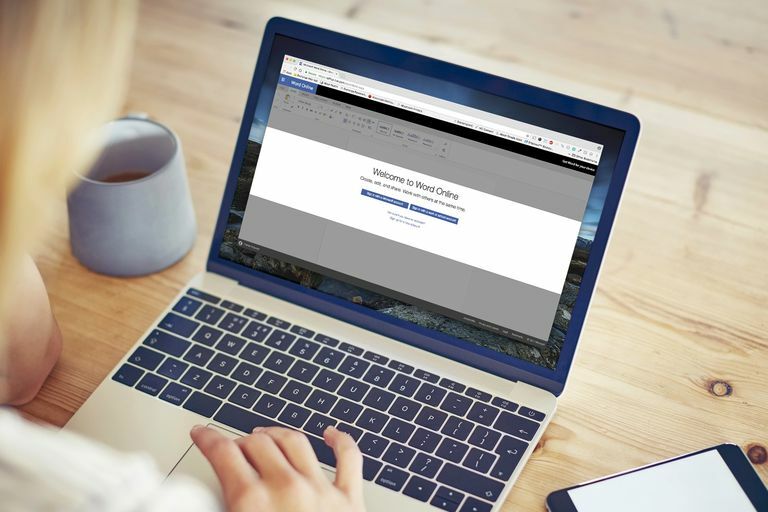 Fully integrated with OneDrive, this add-on lets you launch a robust version of Word right within the browser on Chrome OS, Linux, Mac, and Windows platforms. While not actually a Microsoft product, the LibreOffice suite offers a free alternative that also supports Word document formats. Writer, part of the open source package available for Linux, Mac and Windows users, provides an easy-to-use word processor interface that allows you to view, edit or create new files from over a dozen formats including DOC, DOCX, and ODT. Not unlike LibreOffice, Apache OpenOffice is another free-of-cost substitute for Microsoft Word that runs on multiple operating systems. Also named Writer, OpenOffice's word processor has long been a favorite of those looking to view, edit or create DOC files without the presence of Word. Yet another multi-platform word processor, Kingsoft's WPS Writer supports documents in Word format and also provides some unique features including an integrated PDF converter. Downloadable for free as part of the WPS Office Software package, WPS Writer can be installed on Android, Linux and Windows devices. A business version of the product is also available for a fee. Google Docs is a full-featured word processor which is compatible with Microsoft Word file formats and can be used free of charge with a Google account. Docs is completely browser-based on desktop platforms and accessible through native apps on Android and iOS devices. Integrated with Google Drive, Docs allows for seamless document collaboration with multiple users and provides the ability to access your files from virtually anywhere. Microsoft Word Viewer is a free application that runs only on older versions of the Windows operating system (Windows 7 and below) and allows users to view, copy or print documents saved in one of the multiple Word formats (DOC, DOCX, DOT, DOTX, DOCM, DOTM). If you are running an old operating system and cannot locate Word Viewer on your PC, it can be obtained from Microsoft's Download Center.